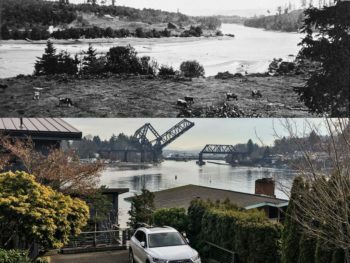 On Feb 21st at the Ballard Elks, learn about the Ballard and Salmon Bay Waterway shoreline history from pre-contact through the Locks construction to 1951. Find out where the Shilshole people’s longhouses were located, who the early settlers were, how early families enjoyed Ballard beach through the construction of the Chittenden Locks and beyond. Learn about presenter Arni’s Thomson’s early days in Ballard jumping off the SS Bering at Point Shilshole to his first fishing derby in 1951 at Ray’s Boathouse. He will also show photos from early Ballard’s halibut industry which inspired the rest of the boat building facilities in the area. Learn about halibut fishing boats like the Polaris which was built in Ballard 100 years ago and still in operation today. Free Beer for the first person to recognize Arni in the crowd at Ray’s Boathouse first fishing derby in 1951. Arni Thomson – Originally from Prince Rupert, BC, Arni’s family emigrated to Ballard’s Sunset Hill in 1951. In 1966, he began his lifelong career in the North Pacific Halibut, Bering Sea Crab and Alaskan Salmon Fisheries. He also assisted in the development of the fishing exhibit at the Nordic Museum. His Icelandic grandmother encouraged his interest in historical biographies, writing and nordic culture. This and his childhood home view of Shilshole Bay led to his interest in Ballard’s history and maritime past. 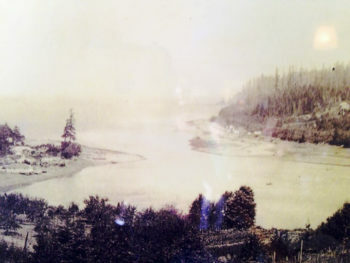 Arni collects historical photographs Ballard and Salmon Bay. He is a member of the Ballard Elks. Rob Casey – Also growing up in North Seattle with a view of Puget Sound, Rob was inspired by Paul Dorpat’s Now and Then historical series in the Seattle Times. He has always had an interest in NW marine history. Rob owns Salmon Bay Paddle, a stand up paddling school and is the author of Kayaking Puget Sound and the San Juans from Mountaineers Books. He is also a commercial photographer and a co-founder and VP of the Ballard Elks Paddling Club.